In Victorian times, people would stop a house’s clocks at the time of an occupant’s death. Although this tradition continues somewhat today, there are some death clocks that weren’t stopped on purpose. Instead, they were broken by terrible circumstance, frozen forever to mark the last moments of disaster. These clocks are chilling mementos of past tragedies. On June 7, 1692, the town of Port Royal, Jamaica, was destroyed by a major earthquake. Shortly before noon, residents heard a thunderous cracking noise before feeling the earth shake violently and watching half their city slip into the sea. 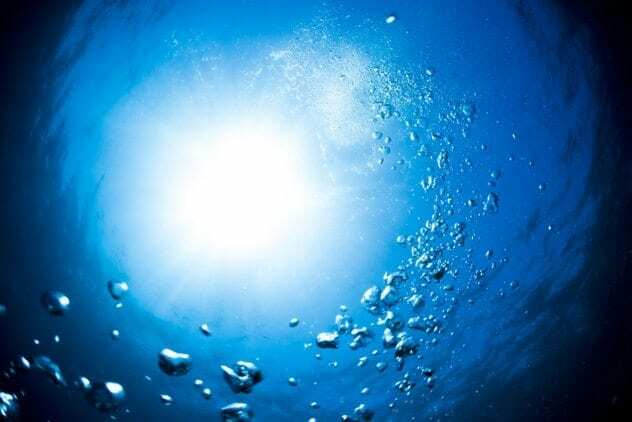 Three centuries later, historians began to explore the underwater ruins. 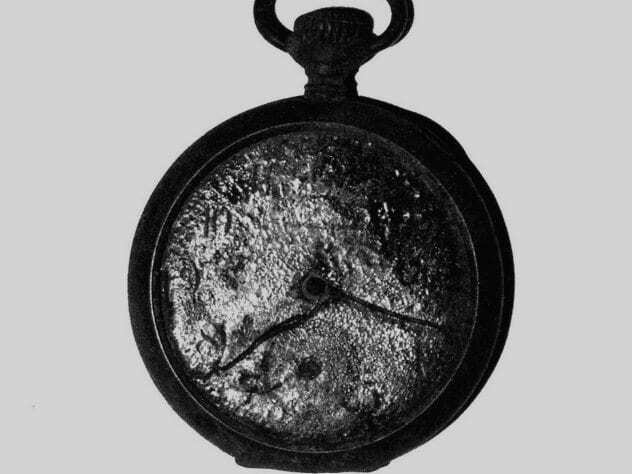 The most famous artifact recovered from the ruins was a pocket watch manufactured in the Netherlands around 1686. The hands on the watch were stopped at 11:43 AM, the exact time of the earthquake and the watch’s entrance into the sea. 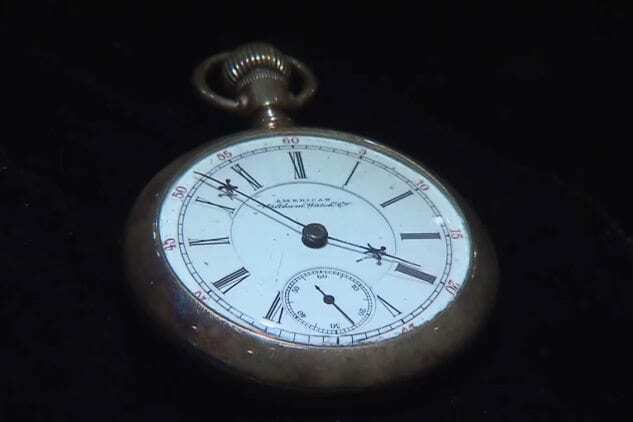 Although other records noting the time of the quake do exist, the discovery of the pocket watch was the first time that a stopped clock was used by archaeologists to date a disaster down to the minute. Railroad enthusiasts know the story of John Luther “Casey” Jones, a train engineer who heroically died saving his passengers during a collision near Vaughn, Mississippi. While approaching the station at Vaughn, Jones and his signalman noticed something on the track ahead. They realized too late that it was the tail end of another train that was too long to fit its siding. The signalman leaped from the cab (on Jones’s orders), leaving Casey to his fate. A few seconds later, Jones’s train collided head-on with the other cars. 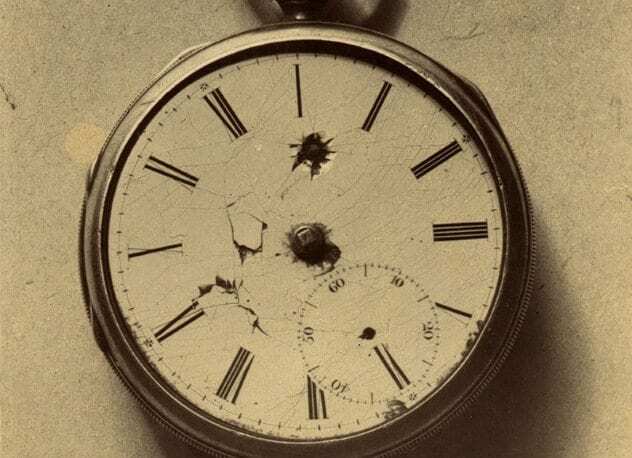 When Jones’s badly mangled body was pulled from the wreckage later that day, it was found that his pocket watch had stopped at 3:52 AM, the exact time of the impact. Although Jones died as a result of the crash, his actions ensured that he was the only fatality. No one else involved with either train suffered more than minor injuries. The story of the Titanic—the so-called “unsinkable” luxury ocean liner—is well-known. On the night of April 14, 1912, the ship struck an iceberg and ultimately sank into the North Atlantic during the early morning hours of April 15, taking approximately 1,500 people with it. 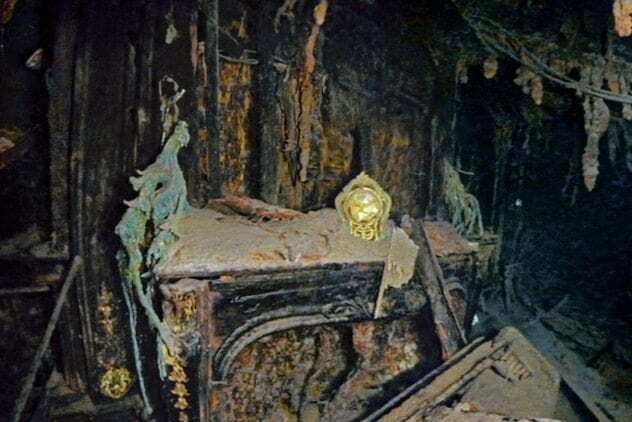 Although there were many pocket watches and clocks retrieved from both victims and the ship itself, the most interesting one remains with the wreck. This clock was located on the fireplace of the Straus suite, used by Macy’s founder Isidor Straus and his wife. Upon the dilapidated mantel, surrounded by sand and debris, sits a golden clock looking almost as new as it did the day it was made. Old pictures of the suite in its heyday show that the sinking did not affect the clock’s position at all. Its face, however, has seen some damage and is hard to read. The documentary Tony Robinson’s Titanic Adventure hypothesizes that the hands stopped either at 2:04 AM, when the last lifeboat was released, or 2:20 AM, the very minute the ship plunged beneath the waves. Joseph Smith, founder of the Church of Jesus Christ of Latter Day Saints, was killed on June 27, 1844, by a group of angry Illinois townspeople. After a long legal debacle that began with the destruction of an anti-Mormon newspaper’s printing press, Smith and a few other men waited in the Carthage, Illinois, jail for a trail. There, they saw a mob of around 200 men marching toward the building. Although Smith was killed in the attack, his friend, John Taylor, miraculously survived. In the melee, Taylor tried to escape by jumping from the jail window but was pushed backward by the force of a gunshot from below. The shooter had been aiming for Taylor’s heart but instead hit his watch, which he kept in his left vest pocket. The hands of the watch were stopped at 5:16 PM, approximately the time that Joseph Smith breathed his last. Taylor later took his miracle watch to Salt Lake City, where he eventually became president of the Church of Jesus Christ of Latter Day Saints. The watch remains in the church’s archives to this day. In early morning hours of April 26, 1986, the Chernobyl nuclear power plant experienced a meltdown after a safety test went catastrophically wrong. In the ensuing hours, the power plant and nearby areas were blasted with radioactive energy, heat, and fire. In 2005, intrepid photographer Gerd Ludwig ventured into the radioactive ruins of the power plant for a 15-minute photography trip. Although all the photographs of ghostly control rooms and empty hallways are stunning, there was only one scene that Ludwig truly risked his life to capture. The entire world knows the story of September 11, 2001, in which the United States suffered the worst terrorist attack in its history. Although the US has largely rebounded from the tragedy, 9/11 hasn’t been forgotten. Each plane crash site was made into a memorial, with the largest and most elaborate filling the footprint of the Twin Towers in New York City. In 2005, the Ground Zero Museum Workshop opened in New York to honor the dead and remind the living of that terrible day. One of the featured items in the museum is a clock found in the wreckage, its hands pointing to 10:02:14 AM, when the south tower collapsed. 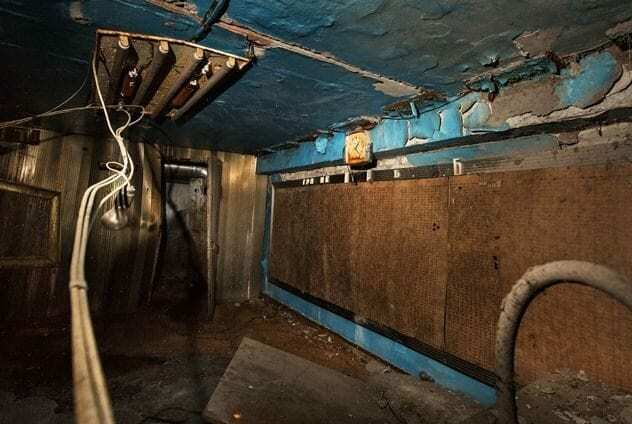 The clock was discovered in a break room used by local train workers alongside the remnants of their weight lifting bench. On August 6, 1945, the future of warfare was changed forever. Whether truly merited or not, US military leaders decided to destroy the city of Hiroshima, Japan, with the ace they’d secretly been building: the atomic bomb. Roughly 100,000 people were killed in the attack, and everything within a 1.6-kilometer (1 mi) radius was completely turned to rubble. In the aftermath of the bombing, 19-year-old Shinji Mikamo returned to Hiroshima to dig through the ruins of his family home. There, he found his grandfather’s golden pocket watch, which had originally been given as payment for serving as an imperial photographer. Even though the watch’s hands had been blown off, the heat of the blast had seared the time of the bombing onto the metal below, leaving the clock to always read 8:15 AM. Shinji donated the watch to the Hiroshima Peace Memorial Museum in 1955 and then to a museum in the United Nations Headquarters in New York. Unfortunately, the watch disappeared in 1989 and has not been seen since. 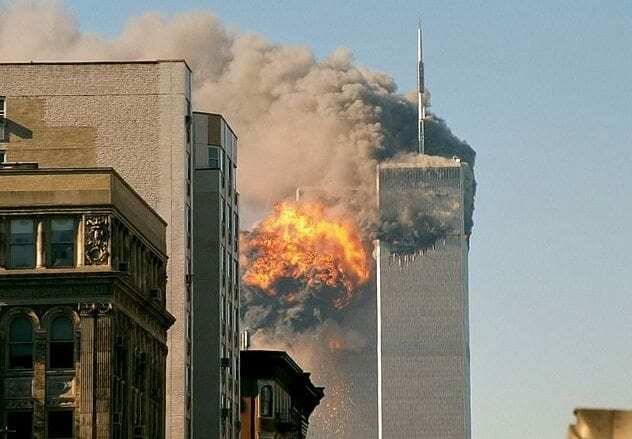 Masterminded by two criminals who were disgruntled with the government, the bombing of the Alfred P. Murrah Federal Building in Oklahoma City, Oklahoma, was the deadliest terrorist attack in the US before 9/11. On the morning of April 19, 1995, a moving truck loaded with explosives detonated outside the building, killing 168 people (19 of whom were children under the age of six) and injuring more than 650 others. Three months later, the remains of the Murrah building were demolished so that a memorial and museum could be built on the grounds. The idea of stopped time is heavily integrated into both the memorial and the museum. Two large structures known as the Gates of Time flank the entrances of the outdoor memorial, each inscribed with a time stamp of significance. The eastern gate reads “9:01,” which represents “the last moments of peace” before the blast. 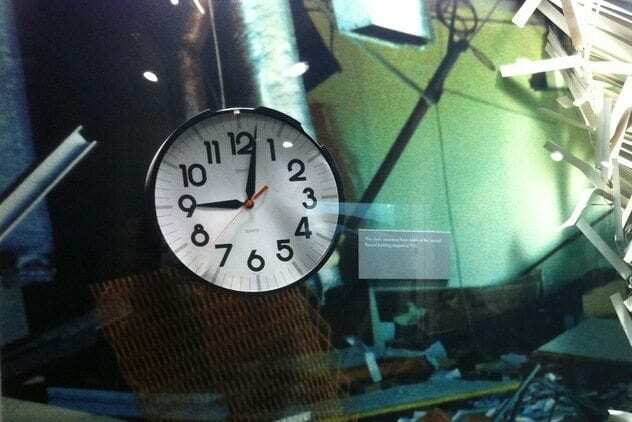 Its parallel, the western gate, reads “9:03,” called “the first moments of recovery.” Enshrined in the museum, however, is a memento that marks the exact time of the blast: a clock poised at 9:02 AM. Oppau (now incorporated into the city of Ludwigshafen) was a small town located in Southwestern Germany. Oppau’s BASF chemical plant was responsible for the production of ammonium nitrate fertilizer, which it stored in a large silo alongside another chemical. Unfortunately, these two chemicals had a habit of getting stuck together, a situation that was remedied with the use of dynamite charges. While this operation was dangerous, it was also commonplace. However, Oppau’s luck ran out on September 21, 1921, when the fertilizer exploded. 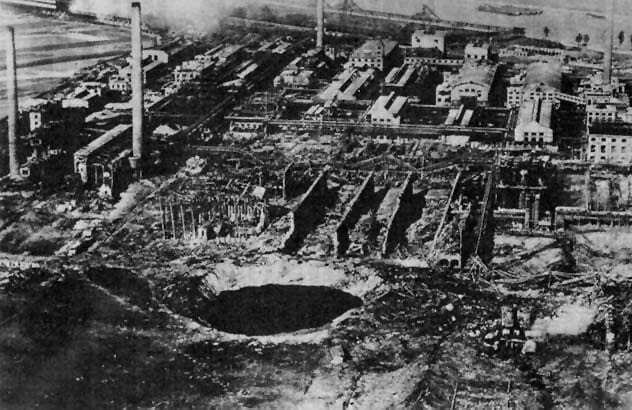 The huge blast left both the factory and town destroyed. What did survive were several clocks belonging to nearby churches. Every single one was found to have stopped at 7:33 AM, the exact time of the explosion. While the Hawaiian islands are seen as a paradise by many, they still face the wrath of nature on occasion. The city of Hilo, located on the Big Island, has itself faced two major tsunamis in the last century, the second of which was on May 23, 1960. 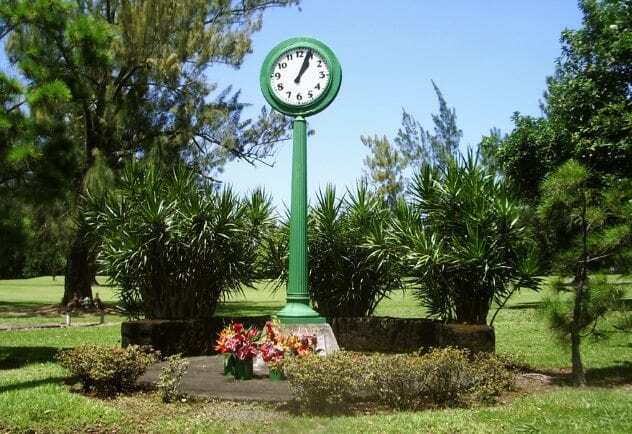 One of the area’s famous landmarks, a green clock located in the low-lying suburb of Waiakea Town, survived the first tsunami but was heavily damaged by the second. Its hands are stopped at 1:04 AM, the time at which the first massive waves hit the island. The clock has been kept in this condition as a memorial to those who lost their lives and homes and still stands today. Waiakea Town no longer exists, its former lands having been replaced with public parks and green spaces. The author is a Ph.D. student in agriculture who lives to read and learn.